Hey Whipple, Squeeze This! has become a seminal guide to the world of advertising for those who have been in the business for decades, for newcomers, and for anybody intrigued by what happens when creativity meets commerce. The title is an irreverent nod to an unconventional 1970s campaign for Charmin toilet paper that featured an annoying shop clerk called Mr Whipple, who couldn’t stop squeezing the product. 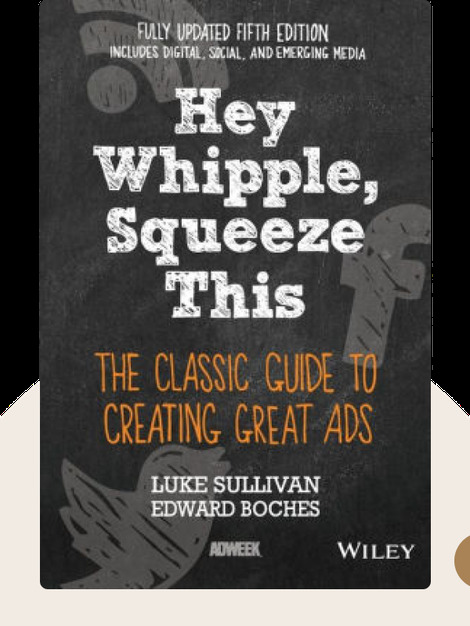 It sets the tone for Sullivan’s honest and practical insights into the sometimes crazy creative process of advertising. Luke Sullivan is renowned for his 32-year career in advertising under eminent agencies such Fallon and GSD&M. He is currently chairman of the advertising department at the Savannah College of Art and Design. Sam Bennett was a contributing author to the updated edition of this book. She is currently the director of brand and digital strategy at Martin Williams. 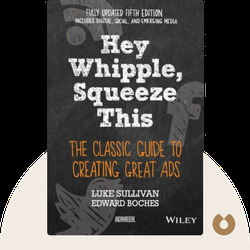 © Luke Sullivan: Hey Whipple, Squeeze This copyright 2012, John Wiley & Sons Inc. Used by permission of John Wiley & Sons Inc. and shall not be made available to any unauthorized third parties.